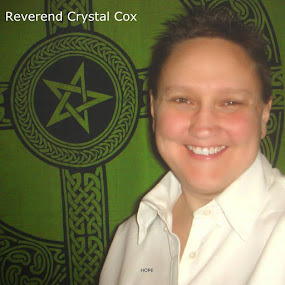 Reverend Crystal Cox, New Earth Ministry; Professional Psychic: We are Collapsing the Timelines we don’t want SIMPLY by Clear Thoughts of what we KNOW we do not want in our life. We are Collapsing the Timelines we don’t want SIMPLY by Clear Thoughts of what we KNOW we do not want in our life. You don't have to see your original wound in order to HEAL. You don't have to know what your original wound was or who inflicted it. In this New Energy Earth, all you have to do is Stay in Choice. Simply Realize that you have CHOICE in every single moment and make that choice. Every thought; it is a choice to entertain a thought or let it pass, to engage in what the thought is saying or to simply NOT talk story with that thought. It is a choice to examine, Hey is that my Belief or someone else's. You have a choice to always go the direction that feels better to you. You can choose to let go of Shame, Guilt, Have To's, Old Programs, Patterns, and what others want you to do and who they want you to be. You don't have to live a life that makes other people comfortable with who you are, your choices or beliefs. No matter who they are. You have Choice. There are times where you are living, working, school or other situations where you feel you do not have CHOICE. It is a Wound Triggered Yes. However, it is Also a Choice. When dealing with the wound in this situation remember to breath deeply and to find the CHOICE. You can choose where you stay, live, and who you are around. It may feel that there are times of no Choice. I understand. I have felt this way myself, where I have no personal choice over the space around me, or who comes to my door, even my own family. However, all we can do in that is state our need, find peace in our mind and actively seek to get away from that energy to the best of our ability and choices in that moment. We have choice over mind and thought, YES. However, I am not saying to endure what you don't want in your life just because you can have a better thought about it. I am saying to create a life where those people, energies, things are not in it, to the best of your moment to moment ability. You have a a Right to be in the Energy of your choice. You don't have to dig into your past and find an original wound to fix. You can simply choose what feels best to you in every single moment. Sometimes the best thought may be the excitement of changing your situation or who is in your life or around you. Then love that thought, allow that thought. Every Choice you make changes your Timeline. Even if its a choice to be excited about changing your current situation, environment, job, home or other events in your life. Sometimes just the thought and excitement of change can relieve the wound energy and open up a new timeline. It is also affirming what you KNOW you don't want in your life.